IRON MAIDEN and Robinsons Brewery have today announced a new addition to their award-winning Trooper family, Trooper Nitro, a kegged version of Trooper which is charged with nitrogen and CO2. Trooper brand manager Sam Kennerley said: "Our keg version of Trooper has been extremely popular, but after listening to feedback from our customers and numerous on-trade trials, which had outstanding results, we decided to switch to mixed gas. The result — an awesome longer-lasting keg-conditioned Trooper ale whose deep and complex flavor has been enhanced with a cooler temperature and a perfect serve." Trooper has been a favorite at bars across the country since launching in 2013. However, not all venues are fortunate enough to be able to have real ale on the bar. Trooper Nitro hopes to fill this gap, especially at music venues around the country who have been clamouring to get a kegged version on the bar. 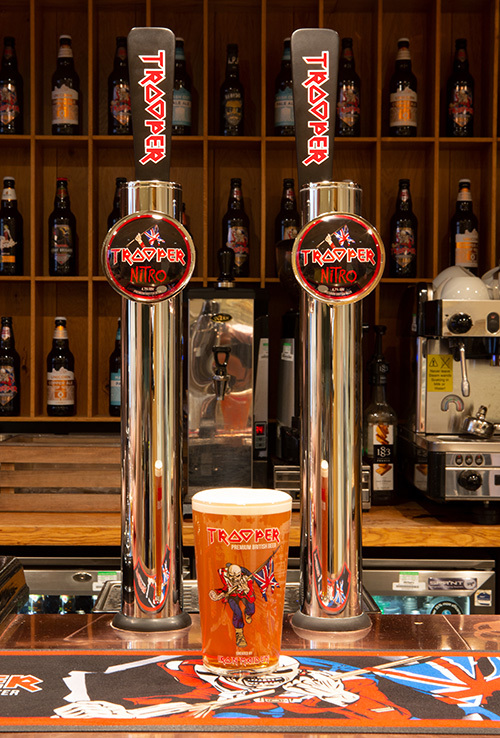 Trooper has also been enjoyed by fans at many of the U.K.'s premier rock festivals, making appearances on the bar at Sonisphere, Download, Ramblin' Man, Steelhouse and Planet Rockstock. "We're continuing to drive Trooper as the beer of music," added Ben Robinson, director of sales at Robinsons, "with a focus on craft beer bars, premium outlets, music venues, live events and music festivals. We hope that Trooper Nitro can build on the success that Trooper has had since its launch in 2013 and attract a new wave of stockists and customers who are eager to get their hands on this flavorsome pint." Trooper, which is also available on cask, in bottle, mini-keg and in cans in the U.S. and Canada, has issued three limited editions since 2015: Trooper 666 in 2015, Red 'N' Black, a porter-style beer launched in 2016, and brought back due to popular demand in 2018, and 2017’s Hallowed, a Belgian inspired hybrid ale. 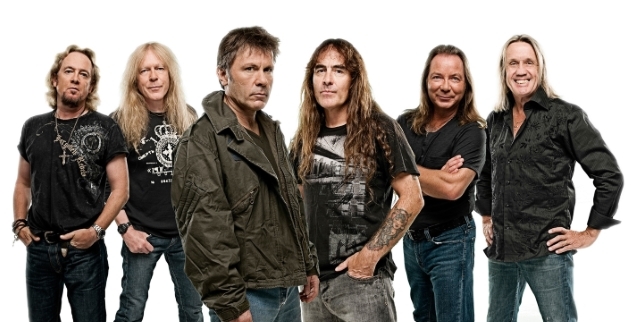 The development of all of the Trooper products is overseen by IRON MAIDEN vocalist and beer enthusiast Bruce Dickinson, who works closely with Robinsons head brewer Martyn Weeks. To date, well over 20 million pints of Trooper has been sold in over 50 countries around the world and it has claimed the British Bottlers Institute's Gold Medal on 3 occasions. Closing, Kennerley added: "Trooper Nitro is the first of many exciting projects with Bruce and IRON MAIDEN that are in the pipeline for Trooper in 2019. Stay tuned."